EDIT:: The Granny CAL 2019 is HERE. Please come and join in!! EDIT::New CAL for the autumn…. Join in with the Corner to Corner CAL HERE!! I’m hosting a CAL! I fancy trying something new and this is it! 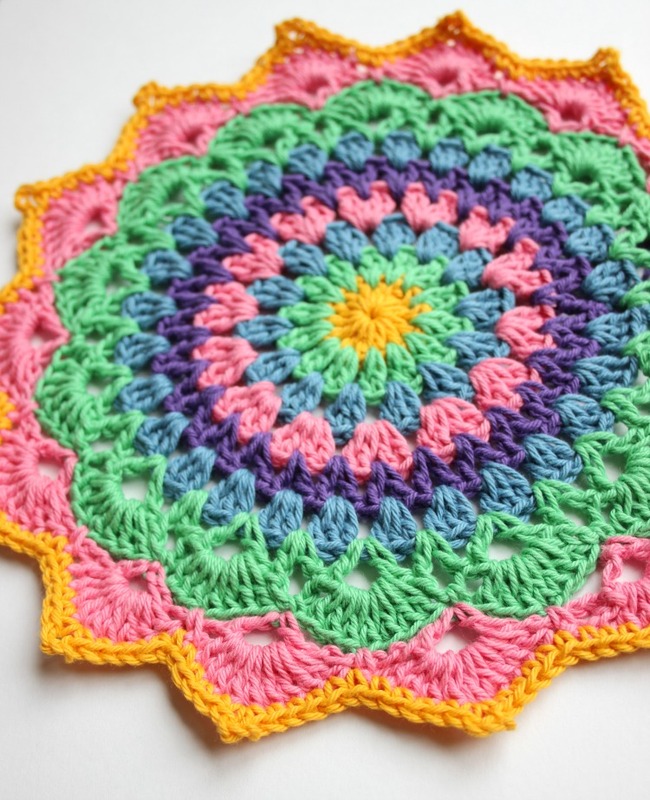 Have you ever taken part in a crochet along? It is so much fun! Not only does it become an opportunity to try something different it also gives you the chance to hang out with online friends (I’ll be honest, the community aspect was an unexpected perk when I first discovered CALs, I just did it cos I thought I might get a prize! I’ve never won anything in a CAL but it absolutely hasn’t stopped the enjoyment of taking part). Go HERE for the 2019 Granny CAL. Why a Granny cal? Well, it dawned on me that I have two favourite “go to” stitches. 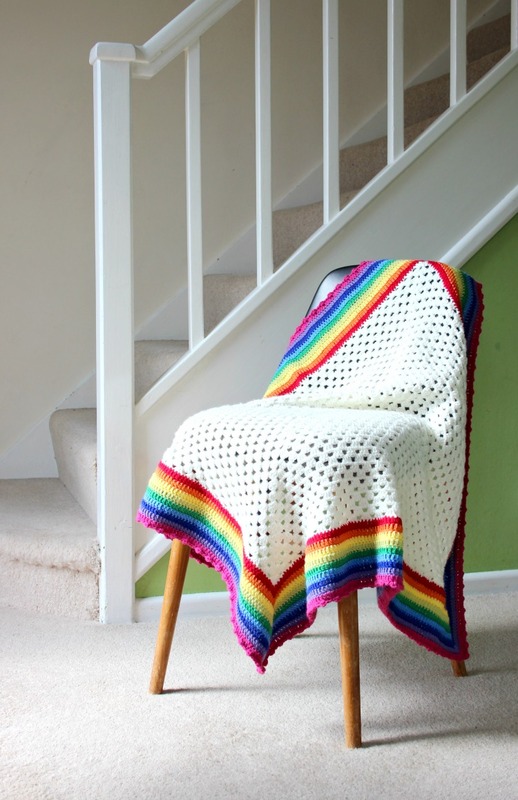 One is the Corner to Corner (Oooh, I could do a C2C CAL!!) and the other is the Granny. I love its traditionality but I also think it’s great that it can surprise people. 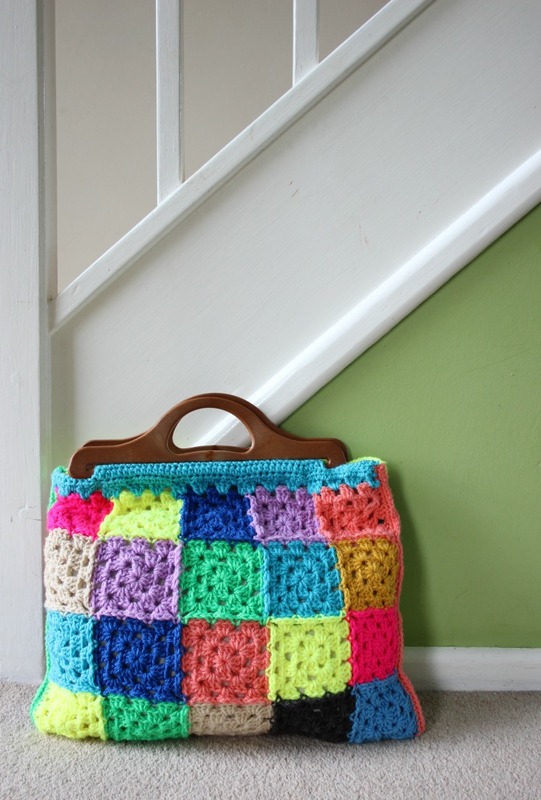 It doesn’t have to be a plain old granny, you could turn it into anything. I know that there are people out there who aren’t that fussed about the granny, so let this be your challenge. Create something that changes your mind, put a twist on it, bring it up to date. Do something different! Yes, this is classic crochet but that doesn’t mean you have to stick to traditional. Or actually, you can if you want. How you dabble in your grannification is entirely up to you. There aren’t that many…. There must be granny stitches in your make (clusters of three UK trebles/US doubles) * It can’t be something already finished * Wips are allowed *It can be any size (if you’re short on time then don’t feel bad about making a small purse, that’s what I’m doing!) * This CAL is for everyone, whether you have just started to crochet or you’ve been hooking for yonks, this crochet along is for you. * Double dipping is fandabbydozy, I don’t mind if you don’t. 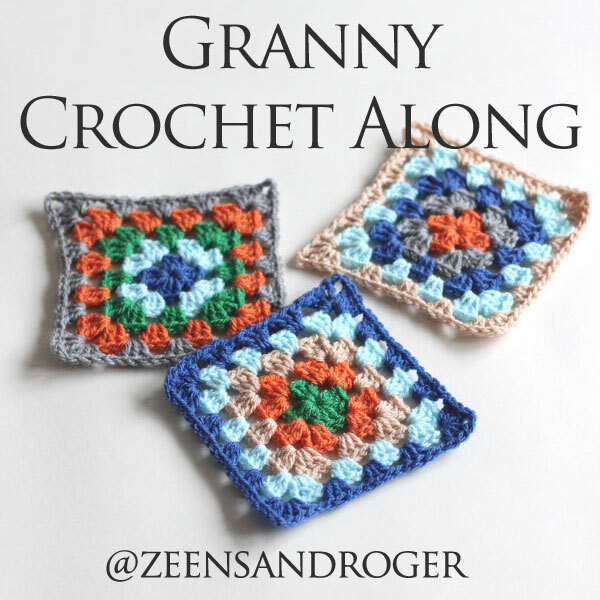 The winner of each category can choose five patterns from my Zeens and Roger Ravelry store. We are also very lucky that some prizes have been donated!! Fabulous Fay of the Crochet Circle Podcast is offering one electronic copy of her pattern book Take Two, which she co-wrote with Lynn Rowe. 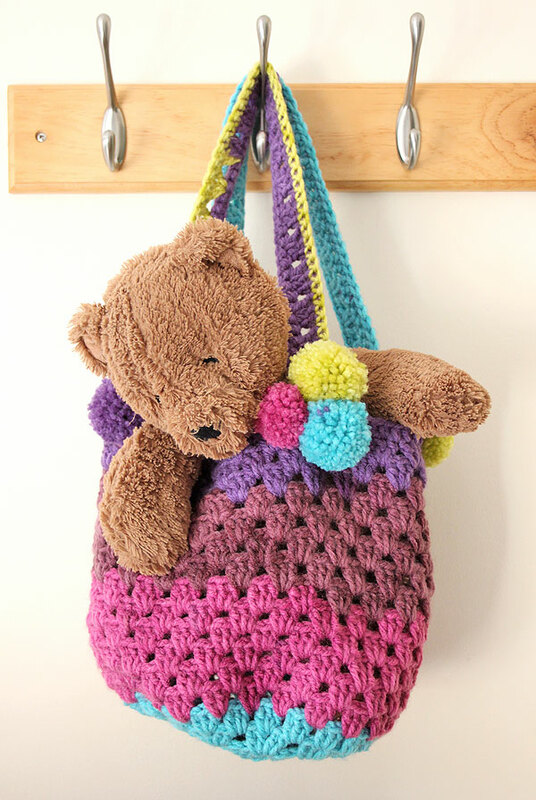 The lovely Vivian from the Keep Calm and Carry Yarn podcast (it’s a lovely listen) makes beautiful project bags and sells them in her Etsy shop, Pearl and Plum. I had a message from her daughter, Alyson to say they would like to give one as a prize! And Laura from Home Fire Ridge will also be sending out a gorgeous project bag to one lucky winner (the ones I’ve seen are really pretty!) Laura’s Etsy shop is having an update on the 23rd of Jan so keep an eye out! Winners will be drawn after I get back from a weekend away in Edinburgh (arghhh, EYF weekend!!) 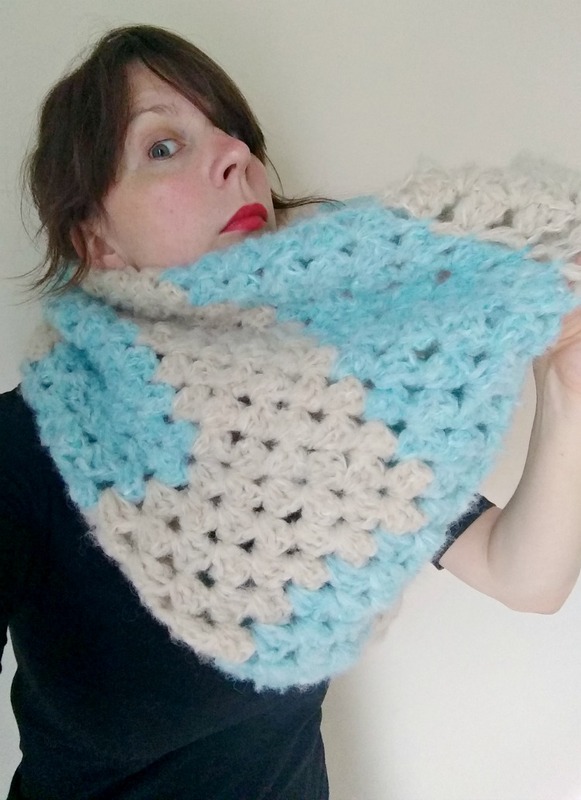 Edit:: Qualyn from the Quoe Podcast (fast becoming a favourite of mine) is offering his Les Mis collection: two fab granny shawl patterns (I have had the songs in my head allll week). And Claudia (my mate Clauds) from Crochet Luna sent me a message to say she’s popped something in the post for us as a giveaway prize!! This is getting exciting!! I will randomly select one winner from the chatter thread on Ravelry and one winner from the finished object thread too. I will randomly select one winner from Instagram and one prize will be awarded to my favourite make overall. That is four opportunities to win a prize! Wahoo! Finally, a massive Thank You!! 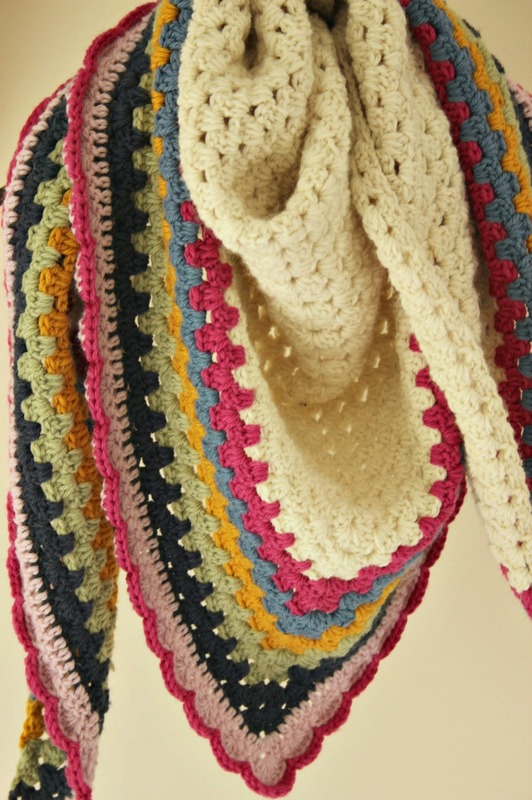 I have had such a hugely positive response about this crochet along, it has been truly awesome! Without the enthusiasm from you guys the idea would have been fleeting and surely fizzled out. If you have any questions or feel like I’ve left something out, please comment below or get yourself over to Ravelry to join in the chat. I cannot wait to see your gorgeous grannies!! All the above items are made by me. 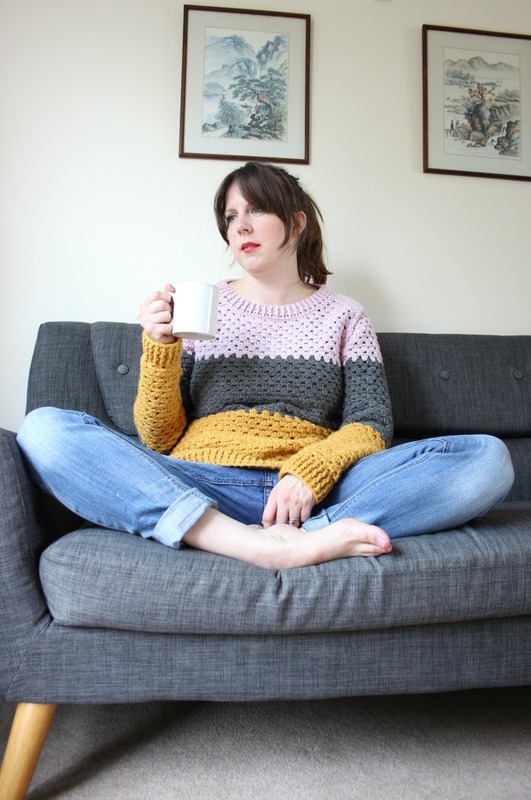 The patterns are mine except the Colour Block Jumper by Cleckheaton and the Magnolia Mandala by Crochet Milan. 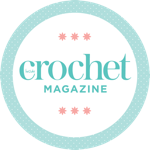 Crochet Tutorial: The Crossed Treble Stitch (or Cane Work or Star Mesh st). I’ve seen yours now. It sounds like a nice, gentle one. I think this one will be too as I don’t expect people to make massive projects, just enjoy the simple granny! People can go crazy if they want to but it’s not necessary It’ll be fun whatever happens. Our paths seem to be paralleling nicely!! 😀 😀 I hadn’t even considered hosting a CAL until a month ago and it just popped into my head. I wasn’t sure if I should do it but I voiced it on the vlog and got such a positive response, that I just had to go for it! I’ll definitely been joining your CAL Rosina! It sounds like heaps of fun, can’t wait to get started! Haha! You sound as enthusiastic as me!! Hurray! Just finished a small granny square girl dress. Checkout my website, dress photo uploaded. And came back to your blog to see the lovely photos 🙂 THAT bag is gorgeous and bright.